Join our Bahamas LiveAboard Luxury CME course in May 2019 for an unforgettable experience. This course is ideal for those interested in combining a dive/snorkel/fish vacation with adventure related CME or those looking to learn more about possible injuries and accidents encountered while traveling abroad and dive related injuries. Our courses are also great for those travel enthusiasts, group leaders, divers, EMT’s, paramedics, nurses, NP's, PA's or doctors with a desire to learn medical treatment in austere environments. We will complete the core curriculum of this CME certification course while on our private chartered boat - AquaCat in the Bahamas. Leave the planning to us and enjoy a nearly all-inclusive, hassle free stay. We have arranged transportation from the airport to the boat, a 7 Night Stay on our private chartered boat, all meals, up to 26 dives, snorkeling, fishing, sun bathing, island exploration and of course CME. Meet like-minded individuals and friends to last a lifetime on this one-of-a-kind CME getaway. We promise you won't be disappointed. If you aren’t a certified scuba diver, the Aqua Cat offers full certification scuba diving during your dive vacation. The Aqua Cat offers top of the line high quality scuba rental gear for those who require it. 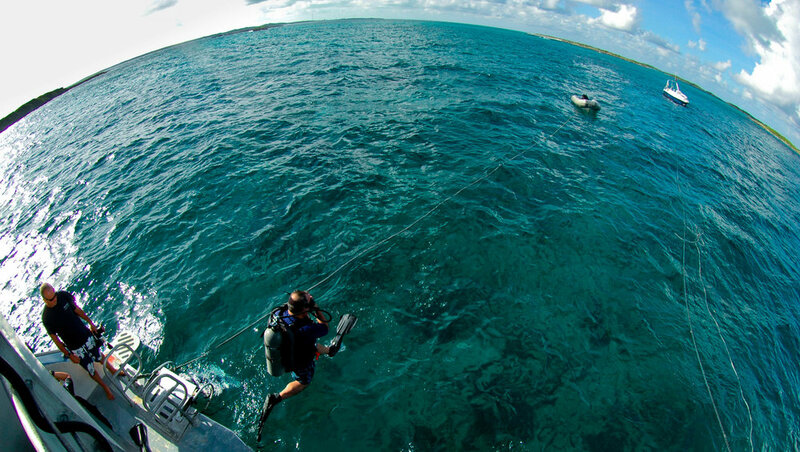 Nitrox is available on your Bahamas dive vacation. Photographers will find the underwater life in the Exumas some of the most prolific and varied of the Caribbean. If you don’t want to blow bubbles, that is okay too! You can explore the uninhabited islands and partake in daily eco-adventures. You’ll have great stories of your own from above the waterline! You will have a great time exploring the 200 mostly uninhabited islands with their many beautiful beaches in the northern Exumas. The Aqua Cat has a 28′ launch, the Sea Dog, that can take you to isolated beaches where you can sunbathe, explore, kayak, snorkel or fish. Let Aqua Cat be your floating resort while on your dive vacation, with captain and crew at your service. 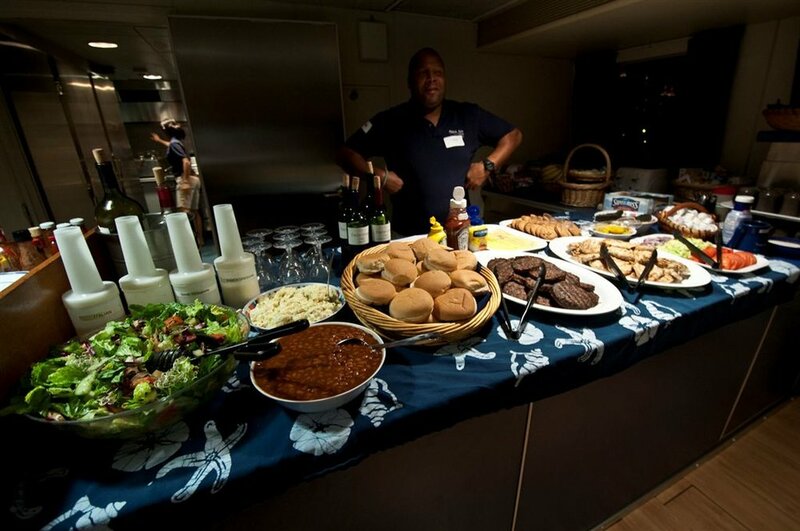 With bar, meals, scuba diving and water sports included in the price of your dive vacation, Aqua Cat is comparably priced to a Caribbean luxury cruise or resort dive vacation, only the service is much more personal and it includes all activities and excursions. 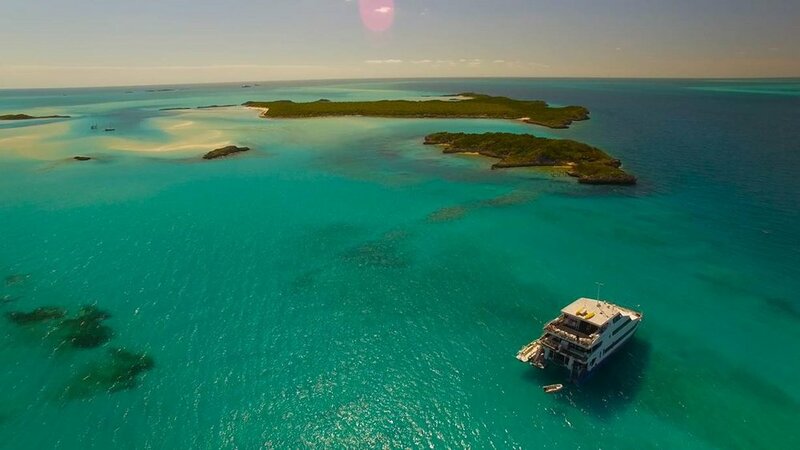 The Aqua Cat has 10 large outside cabins each with 2 large windows, en-suite baths and oversized king, queen or twin beds. The Wild Med Adventures Team are all well traveled and experienced and promise to make your CME experience both educational and informative, but please note that we are only responsible for the educational aspect of this trip. We are not Guides and do not provide gear and/or other safety equipment for the adventure portion of this course. All risks of travel, diving, snorkeling, transportation to and from hotels, airports and resorts is at the risk of the client and may not hold Wild Med Adventures responsible in case of injury or emergency. (See Waiver) For more information regarding our instructor's background - please see BIO's for instructor information. Spouse/Partner Discount: **If you sign-up a non-medical spouse, partner or friend with your enrollment their cost is discounted. 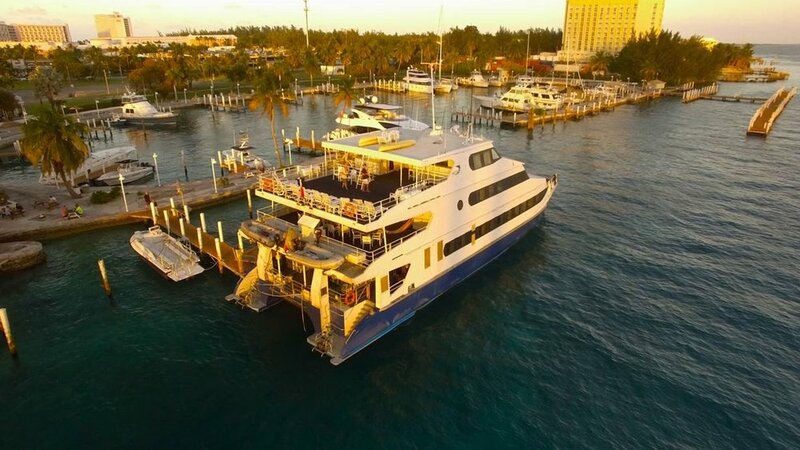 Included Package: 7 Nights lodging (shared accommodations) on private, luxury AquaCat Dive Boat, Airport Pick-up and Transfer to and from our boat, All Meals & Drinks, ALL TIPS, Diving/Snorkeling/Fishing/Beach Excursions, 13 hours credits towards your FAWM & 13 hours of Category 1 CME, and a free Wild Med Adventures T-Shirt, Tank-Top or Hat. Cancellation Policy: Your deposit for the travel portion of the course is nonrefundable. The entire balance of your trip fee will be due 90 days prior to departure. We recommend trip insurance for any unexpected illness and/or schedule changes or conflicts. If you have not paid in full prior to 90 days before the start of the course a late fee of $500 will be applied to your final cost or we have the right to cancel your trip. There will be no refund after 90 days prior to course. If you cancel before 90 days of beginning of trip you will be refunded 50% of trip cost. The goal of the Bahamas Dive CME Conference is to provide participants with a unique environment to experience essential medically-related topics and learn skills while collaborating with expert faculty through educational activities including lectures and Dive / Water Adventure Excursions. Provide education of value to providers who care for the medical needs and also those involved with coordination of tropical and dive related activities, including medical providers who must educate and instruct travel safety with their patients. Demonstrate increased knowledge and skills in recognizing and treating the most common illnesses and injuries encountered in remote environments, including dive medicine. Understand the pathophysiology and management of acute emergencies related to remote environments and dive-related injuries. The Wilderness Medical Society designates this educational activity for a maximum of 15.5 AMA PRA Category 1 Credits TM. Each physician should only claim credit commensurate with the extent of their participation in the activity.